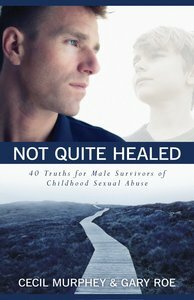 :Survivors of sexual abuse face a long road to recovery. With every bump and bruise and setback, they may wonder if total healing is even possible. In fact, the feeling that ?I should be healed by now? is one that every survivor will have to deal with at some time. A survivor himself, Cecil Murphey writes, ?I absolutely affirm that God can produce such a miracle. I don?t know of any, but I still think that it is possible. ?